Morkali is a South Indian heirloom recipe made using rice flour & Maida. 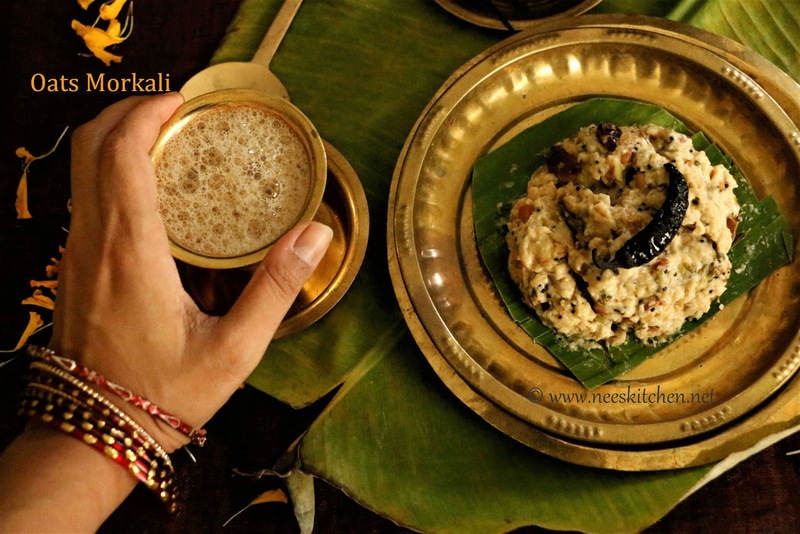 “Oats morkali” in this post is just the replacement of rice flour & maida with oats. It will taste exactly the same like regular morkali but its absolutely healthy and guilt free. I never had the idea to prepare with oats actually. However I was running short of rice flour a couple of weeks back and I just replaced with oats flour. To my surprise, there was no difference in taste. The color however was slightly cream when compare to the original one. I tried a couple of times for evening dinner and found this dish to be very tasty. 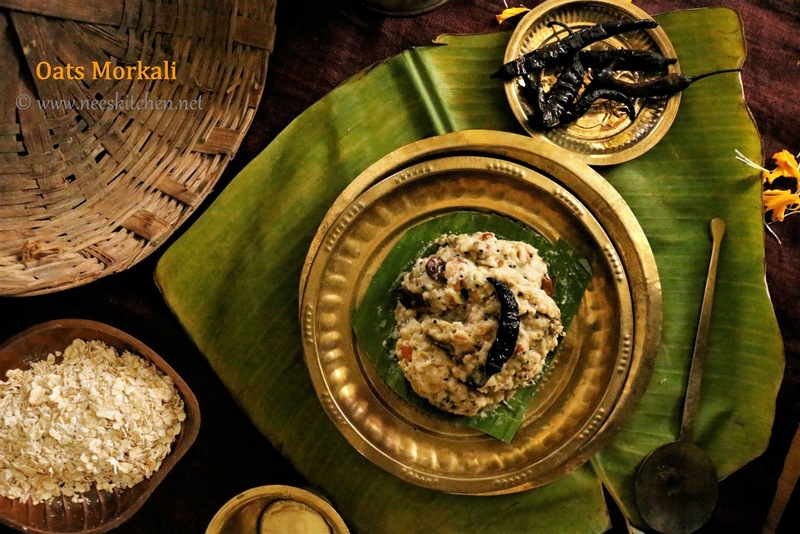 Check out the original morkali recipe in this link. 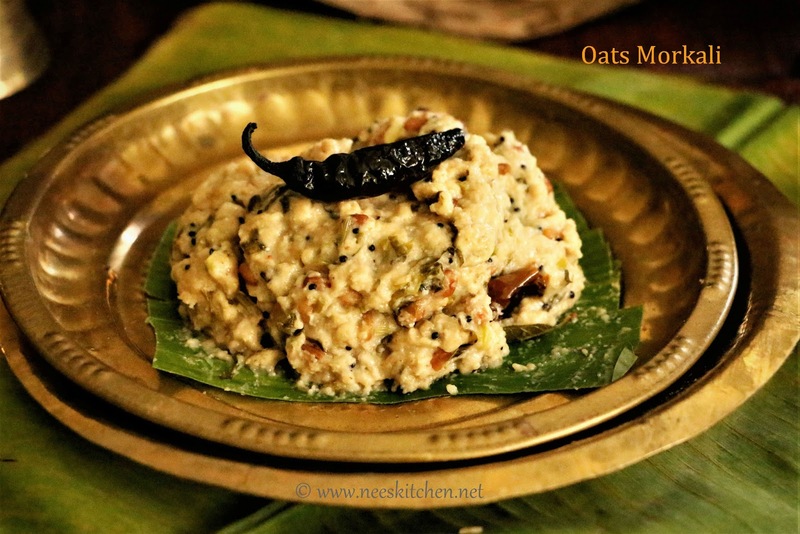 Check out my oats recipes in this link. 2. Sieve Oats into a fine powder. 3. 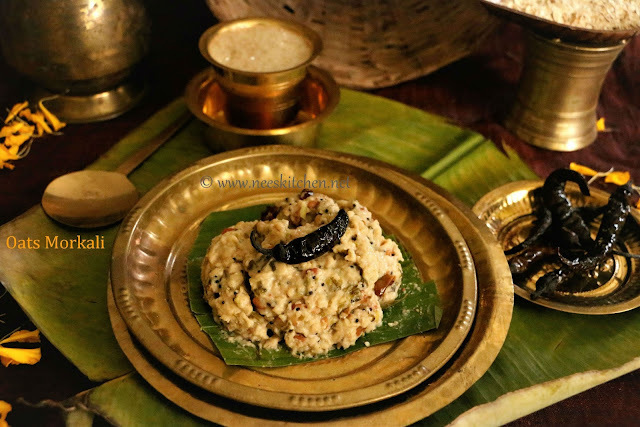 Add salt, curry leaves , yogurt and water and mix well without lumps. 5. Take out the oats-buttermilk mix and add coriander leaves. 6. Take a non-stick pan and add oil, mustard,channa dhal and fry well. 7. Tear 2 mor molaga’s and put it with the oil. 8. Add oats-buttermilk mix and keep mixing until thick. 1. You can add hing to the oats-buttermilk mix before setting aside. 2. Adjust the number of mor molaga’s as per your taste.